Cancellation Policy: Please note that cancellations must be done by email a minimum of 7days prior to arrival date. otherwise you will be charged the 40% of the total accommodation. APTBCN Super Balmes Guest House is located in the heart of Barcelona’s center just 4 min. walk to La Rambla and Plaza Cataluny. This Guest house offers a variety of quality-stylish rooms, all with shared kitchen facilities, balconies and free Wi-Fi. 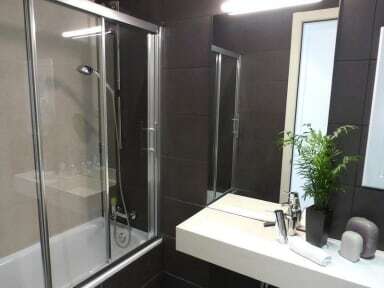 Many rooms have shared bathrooms and some have Private or En-suite Bathrooms. The Super Balmes Guest House offer many rooms with TV’s and Air conditioning and other rooms with Fans. All rooms have heating, bed linens and towels.